Don't be left at home, register today! To Register, go to the Registration Tab on the top of page - right bar. Team Captains - Your team has already been placed in the correct division. Once you click you are the Captain/Coach a pop up will present you with the team fee to be paid for your division. 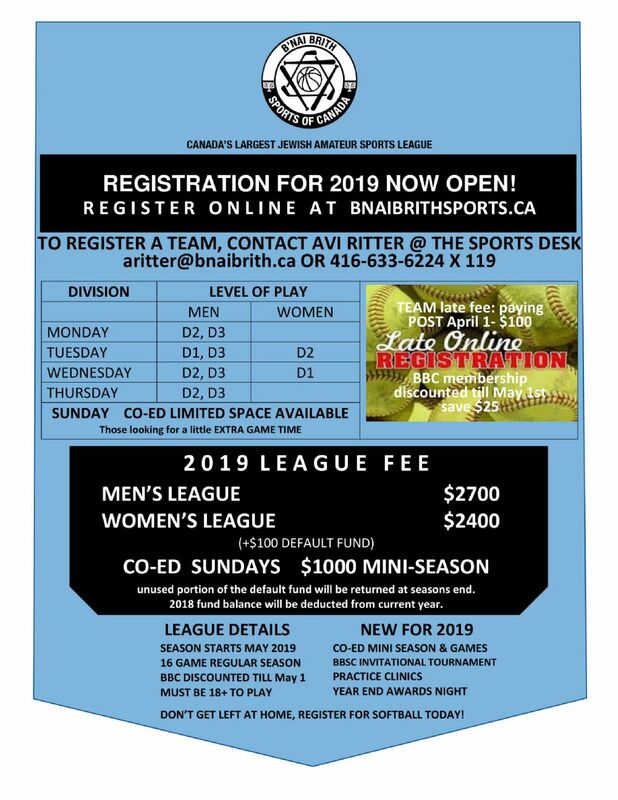 Note that all individuals must be members of B'nai Brith Canada to play in our league. Download the LEAGUE ATHLETICS APP for your phone. Check your schedule, roster, and standings on the go!